Andy's Place is a luxurious three-story house with an amazing and romantic view of the sea. The house is infused on a rock where the Aegean Sea meets the hillside of Posidi. You can enjoy a quiet and peaceful time with your family and friends. The villa is surrounded by a lovely garden with blooming flowers. During your waking hours of the day, you may enjoy your breakfast at the edge of the furnished garden. The view will truly amaze you. The spacious outline of the villa may accommodate up to six people. The furnished veranda is ideal for a barbeque. The living room has access to the beautiful garden where you can gaze at the sea. Next, to the living room, a kitchen and a bathroom are available. The second floor has 1 double bedroom and a single one with the addition of a bathroom. On the top floor, there is a double bedroom with a bathroom. The village Possidi probably owes its name to the god Poseidon. Nearby is the headland on the western side of the peninsula which was known in ancient times as Poseidonio, the whole area belonged to ancient Mendi. There are hotels, rented rooms, beach bars, little tavernas, and ouzo bars. The ruins of the ancient sanctuary dedicated to God Poseidon. The lighthouse of Possidi cape, built in 1864. You can't miss this. Take some photos of the lighthouse, the only building at the edge of the Posidi cape while waiting for the dolphins to show up in the sea! With great amenities, views of the Mediterranean, and all of the comforts of home, this stunning Villa has everything you need for an unforgettable vacation. 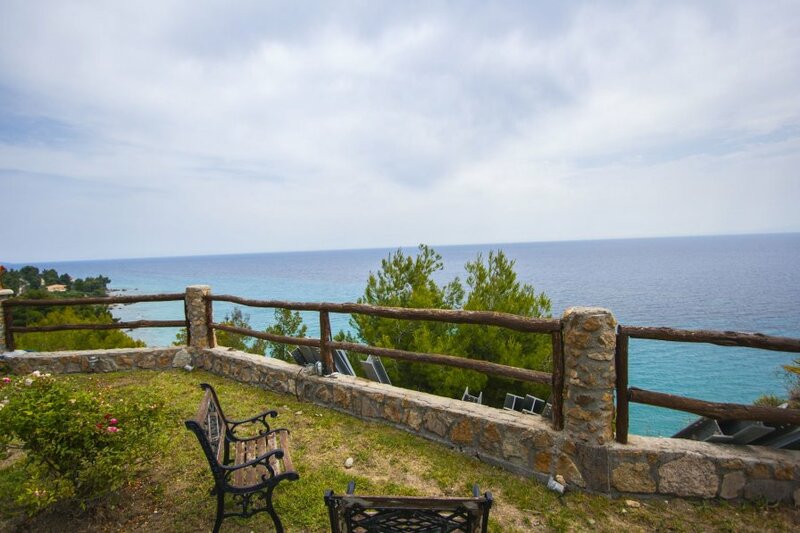 Villa is conveniently located near the heart Kassandra so it's easy to explore the area without traveling too far from home. There's something for everyone. Book today! There is possibility of late arrival between 21:00h and 08:00h for an extra charge of €30 paid locally.